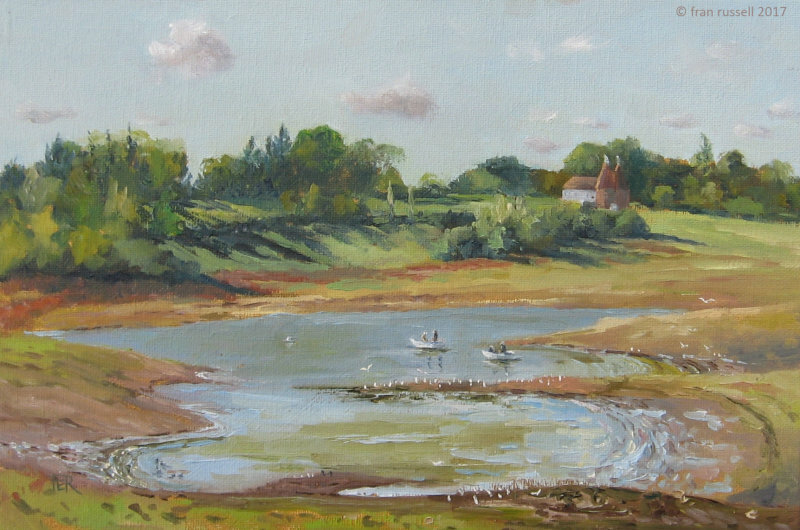 I enjoyed a lovely afternoon painting beside Bewl Water today. The water levels are so low (I was standing on what should have been several feet under water!). It was good to be out there painting on a sunny October day. Not many Autumn colours in the trees yet - probably a week or two and they will emerge and then fall. I love the way a view changes constantly! Location: Bewl Water, Lamberhurst, Kent.